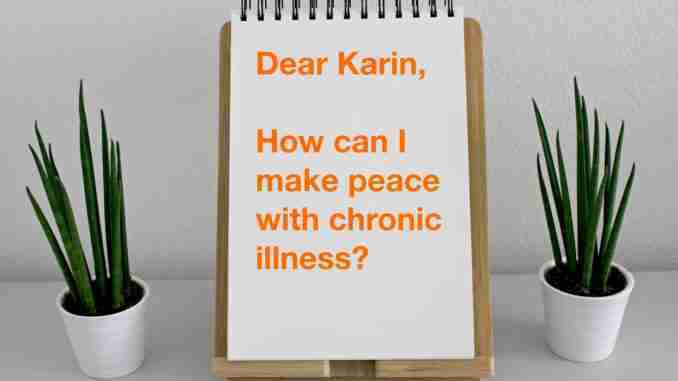 #DearKarin : How to make peace with chronic illness? How does one make some kind of peace with the enormous shift in your life when disabled by chronic illnesses? My life, as I knew it, is irrevocably changed. I know that and am doing what I can to remain vital. I can’t find any peace with the situation. Thanks for writing in with a question about a topic that is (or may become) relevant for so many of us. Chronic illness is a vast territory, with too many illnesses to list here. As an aside, I personally also include illnesses that we may have been treated for successfully, if they or the treatment have left long-lasting side effects, or the illness is dormant or can be re-triggered – like cancer, stroke. If we live with the real possibility and fear of an illness coming back, than I regard that as chronic. Not everyone may agree. Even if you and I have the same chronic illness, we may experience it differently. Yet there are many elements that apply to all affected by chronic illness (including relatives, friends etc). Getting to terms with what has, is and will happen – that is one core topic we all share. How do we face our past, the present and the future with chronic illness? But not everybody is interested in how to make peace with chronic illness. Because making peace may be seen as giving in and capitulating. Anger and rage at our predicament and suffering can be great. There is nothing right or wrong about any of this. 1. Chronic illness brings an enormous shift in your life. Yes, it does, and on so many levels! It is important to understand these layers. Because often life with chronic illness can feel like one big blur, fog, or chaos. And we don’t know where to start to make sense of it all. To be able to cope we need clarity and focus and peal back the layers – like an onion. Spiritually – we may question our values and beliefs about the world. Concern over the treatment for our illness, which we may receive, or cannot access, or it does not exist. I am sure you and the readers can think of more. How can you possibly make peace with that? And why should you? It’s not fair. No one deserves to live like that. Ultimately, it is a question of how do we keep going and motivating ourselves, when there are so many reasons to give up? 2. Remaining vital despite chronic illness. I interpret this point of yours to refer to keeping purpose, meaning and identity. Because given all of the above, our world can become a lot smaller. We may no longer be able to do things we used to do. Things that made us who we are are, gave freedom, a sense of belonging, a reason to get up, responsibility, even if they were a burden. And so we may end up feeling diminished, struggling with who we are, the role / meaning / status we have in society, in relationships, in our own world. Some chronic illnesses are more visible than others. 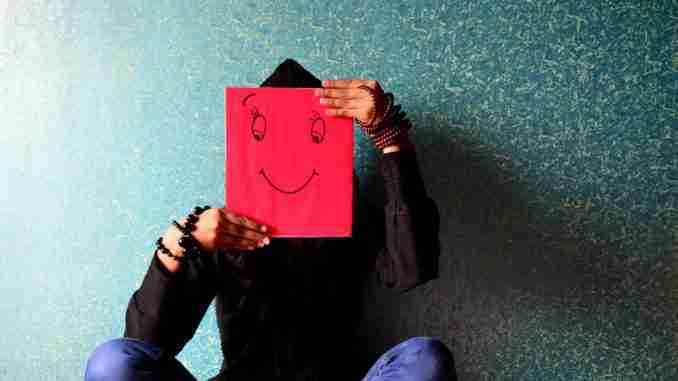 But they all can make us less visible to others and ourselves. It comes down to value – the value others give to us, and (I would argue most importantly) the value we give to ourselves. If we think we have little value and are also treated like that by others, then it is hard to connect to a sense of purpose and meaning. Even if we work hard at it, we may get many knock-backs. 3. How to make peace with chronic illness? How can you possibly make peace with all that? offer a miracle medicine for depression, anxiety, anger. Because “peace” means accepting the new reality. Not as a victim, but as the owner of the life we now have. And that will make carrying on a lot easier. I feel I can say that, because I have ‘the badge’. I have had a life, I’d rather have, than the one I have now. But we are, where we are. Acceptance does not mean giving in and giving up. Definitely not! It means to burn less and less of our mental and emotional energy on that which once was, which we may never get back or have never had in the first place. It is the fighting and not accepting that keeps us trapped and a victim of our circumstances. I am not saying let’s all welcome chronic illness with open arms. No. But let’s try and focus on what we can and need to do. Easier said than done. I grant you that! If you are in constant pain, nothing works, no-one wants to listen, money is running out, the future is gloomy … Yes, then acceptance and making peace is difficult. Personally and from experience I know that accepting and making peace in small doses is the way to go. It’s like collecting bonus points when we can. Some moments or days may be easier than others. And those hold an opportunity for us to take renewed focus and build our new world. How much of the old world can we take along? Perhaps not everything and everyone. And that’s what hurts and makes us feel bereft. The most important continuity between “then’ and “now’ is YOU! How to make peace with chronic illness? Be clear about how your illness has affected you and what may lie ahead. Understand your needs, including those you can’t get met. Decide what making peace and acceptance means for you. Pick your moments, when accepting your situation is possible. Use that time to make decisions. Identify activities that please you, define you and are a positive outlet. Incorporate them into your life. I started writing. Create daily routines that act as pillars of the foundation you need to create for an accepting attitude – things, activities and such that can sooth a busy and frightened mind and heart. Reduce negative and painful thinking. When the dark moments come, because they will, do not act on them. No knee-jerk reaction you may regret. The less you fight the darkness, and the less oxygen you give it, the weaker it will get. Every moment of peace is an investment in you, a ray of sunshine that can help identify new ideas and give you strength. Be realistic – for every moment of peace, there may be at least a moment of disharmony, sadness, bitterness, hopelessness, tears. You are not doing anything wrong. That’s the way it is. A state of calm serenity in the face of adversity is possible. But we cannot all be like that. I know, I am not. It takes hard labour and determination, like learning a new skill or difficult language. Daily exercise of that skill is important. Being at peace with chronic illness, like with so much else, is a process. It is not a constant flow. It can get stuck and linger in the darkest of places. But like water it will find it’s path, if we let it. I, too, have dark moments, when I don’t want to think of making peace. When I am stuck with what no longer is and what could have been, but will never be. Let it wash over you. Hold on tight until it goes. And then reconnect with the present, try and carry on with the routines you have established. I always recommend that it is worth talking this over with a trained and independent professional. 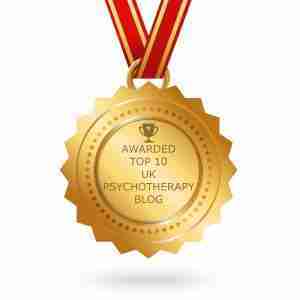 Many hospitals or charities supporting people with chronic illness offer counselling and therapy. There might be support groups and other activities we can join. Whatever you do, pay attention to your gut feeling. Your decisions need to uplift you and not drag you down. Here are other relevant articles you might find useful. One moment you are ok, the next helpless and frail. Coping with life-changing illness or events. I hope this has given you some idea of how to make peace with chronic illness. With my very best wishes for you, Debbie. 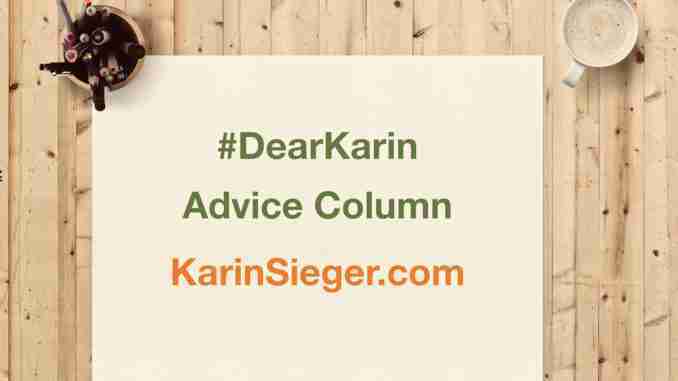 If you have a question for the #DearKarin column, then you can submit it here. Read other #DearKarin columns here. then find out about my email support here.